Description: A vector diagram integrates map, line chart and timeline to illustrate China's rapid economic growth visually. Readers can understand and grasp more information easily. 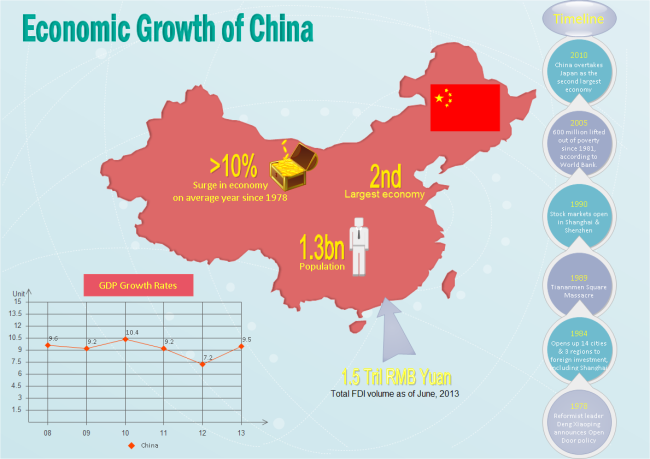 It is a free customizable china growth map template provided to download and print. Created by Edraw Max, it is available in different formats.